Days after their video surfaced, three local Hizbul Mujahideen terrorists were killed in an overnight encounter with security forces in south Kashmir's Anantnag district, police and army said on Monday. The terrorists were killed in the encounter at Awoora village in Pahalgam area of the district, an army official said. 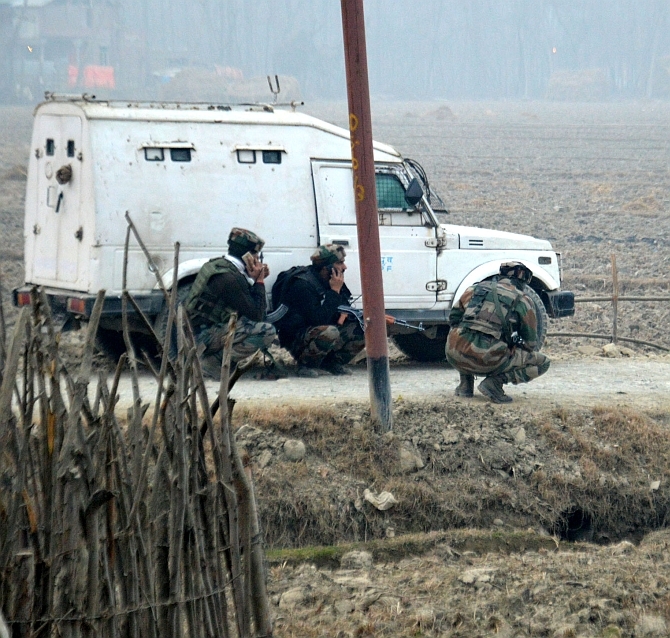 Acting on specific intelligence input about the presence of terrorists in the village, security forces on Sunday launched a search operation in the area. As the forces were conducting the search operation, the hiding terrorists fired upon them, he said, adding the security forces retaliated, ensuing an encounter. The exchange of fire went on till late in the evening after which it was halted for the night, the official said, adding it was resumed in the wee hours today and the three terrorists were killed in the gunfight. Belonging to Hizbul Mujahideen, the terrorists were all locals and were identified as Abid Sheikh, Maqsood Shah alias Masoom and Adil Reshi. All of them hailed from Anantnag district. The slain terrorists were seen in a video which recently surfaced on social media showing them enjoying the snowfall in the Valley, Superintendent of Police, Anantnag, Zubair Ahmad said. “The three terrorists were part of the six terrorists in that video where they were playing in snow," he said. The video showed the terrorists enjoying snowfall and brandishing AK 47 assault rifles while treading a snow-clad hillock after heavy snowfall on January 6. The bodies have been handed over to their families after completing all legal formalities, a police official said.